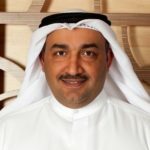 Has more than 24 years of experience in oil and gas and Petrochemicals starting from process engineering in Refinering to project Manegement in Petrochemical and mega Investment in Energy with diverse caliber in spearheading and managing businesses, companies, projects, M & A with competency in planning, investment and process engineering in Kuwait. Ghalia Alazmi is a Chemical Engineer with over 12 years of work experience in refinery operations, plant performance monitoring, trouble-shooting, PFD & P&ID review, HAZIP and HAZOP, and Energy Management & Performance Analysis ( incl. Solomon KPIs).She holds a Master’s Degree in Petrochemical Engineering from Kuwait University – College of Engineering & Petroleum. She is presently working as Senior Process Engineer in Mina AL-Ahmadi Refinery( MAA) , Kuwait National Petroleum Company( KNPC). Farooq Ali Khan is a Process Engineer specialized in Fired Heaters and Heat Exchangers with over 12 years of work experience in design, engineering, troubleshooting, revamp, Commissioning, Operation, Optimization, feasibility study, debottlenecking study of Furnaces, Burners, Incinerator, APH, Reformers, Incinerator, Air Coolers, Heat Exchangers. Farooq Ali Khan is a Process Engineer specialized in Fired Heaters and Heat Exchangers with over 12 years of work experience in design, engineering, troubleshooting, revamp, Commissioning, Operation, Optimization, feasibility study, debottlenecking study of Furnaces, Burners, Incinerator, APH, Reformers, Incinerator, Air Coolers, Heat Exchangers. 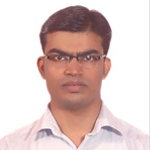 He holds a Bachelor’s Degree in Chemical Engineering from Indian Institute of Technology. Mr. Mohamed graduated from Pennsylvania State University, PA, USA and holds a Bachelor of Science in Energy Engineering, and a Minor in Environmental Engineering. 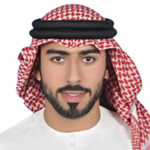 He joined ADNOC Refining in 2016 as Sr. Engineer, Energy Management in Ruwais Refinery West (RRW) and is enrolled in carrying out Energy related tasks in the Engineering Division. 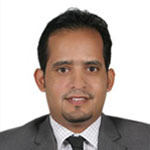 He earned his Bachelor of Science Degree in Process Control and Instrumentation from the University of Bahrain while working in Bapco in 2006. His 18-year career started in May 2001 with Oil Processing Department (OPD), Low Sulphur Fuel Oil (LSFO) complex from the ranks till he reached Head Operator position. He actively participated in Bapco’s 100-day Energy Blitz in 2012 that resulted with US$ 689,000 energy savings and got recognized for his exemplary performance. His passion in energy conservation initiatives manifests in his work, i.e. striving for safe and energy efficient refining operations. His advocacy on embracing energy saving culture concept continually inspires his colleagues to do the same. Because of this trait, Muneef has been recognized as one of the recipients of Bapco’s Outstanding Energy Champions for three (3) consecutive years. In 2015, he joined the Energy section of the Power and Utilities Department as Energy Team member where he spearheaded the drive to focus on Energy Management System, Energy Champions Empowerment Program and Energy monitoring tools workshops for operators. 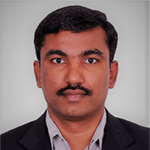 He is also certified lead Auditor in ISO 50001:2011. In 2017, the Energy section was moved to Technical Services Department as a part of restructuring of the energy program in the company. During his stint as energy team member, he participated energy conferences and workshops locally and abroad. He presented several technical papers about Bapco Energy Management system, Renewable Energy and Energy Culture. On the lighter side, he is also involved in Bapco’s social activities and has been one of the volunteers at Bahrain INJAZ program for more than five years.